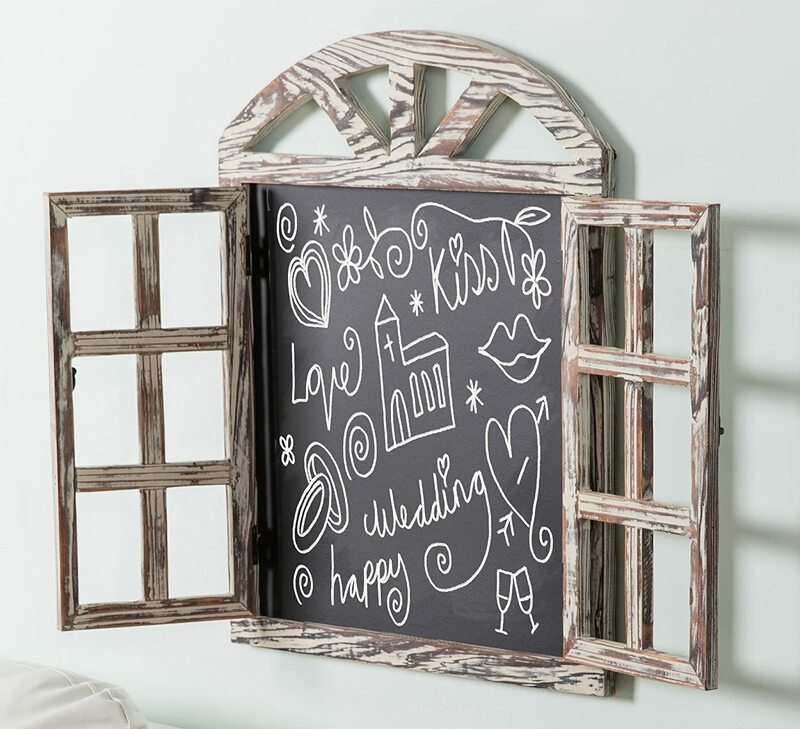 A unique window frame design chalkboard with a whitewashed rustic brown wood finish. 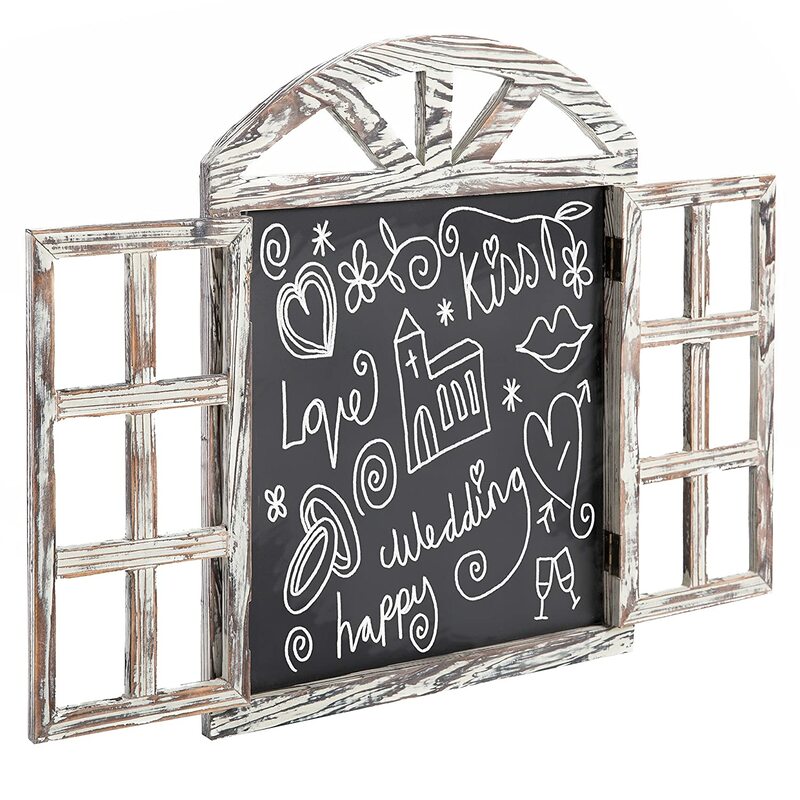 Features an arched top with 2 window pane doors that can be opened to reveal the chalkboard. 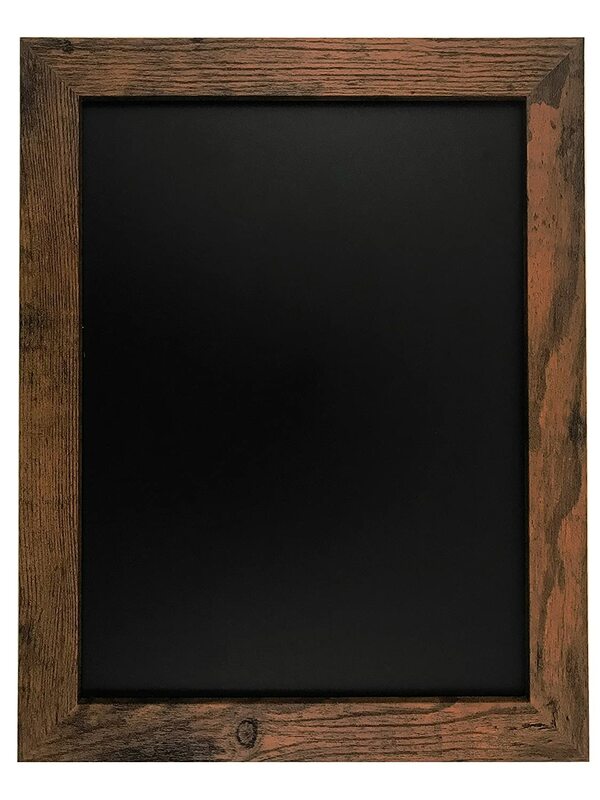 Perfect for writing memos, menus, or advertisements at your home, cafe or business. 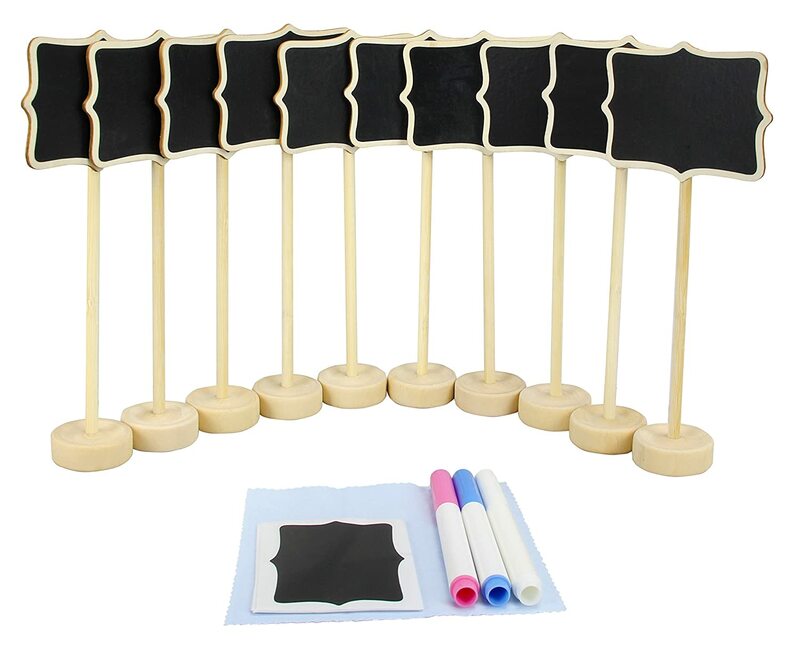 Not intended or use with liquid chalk markers. 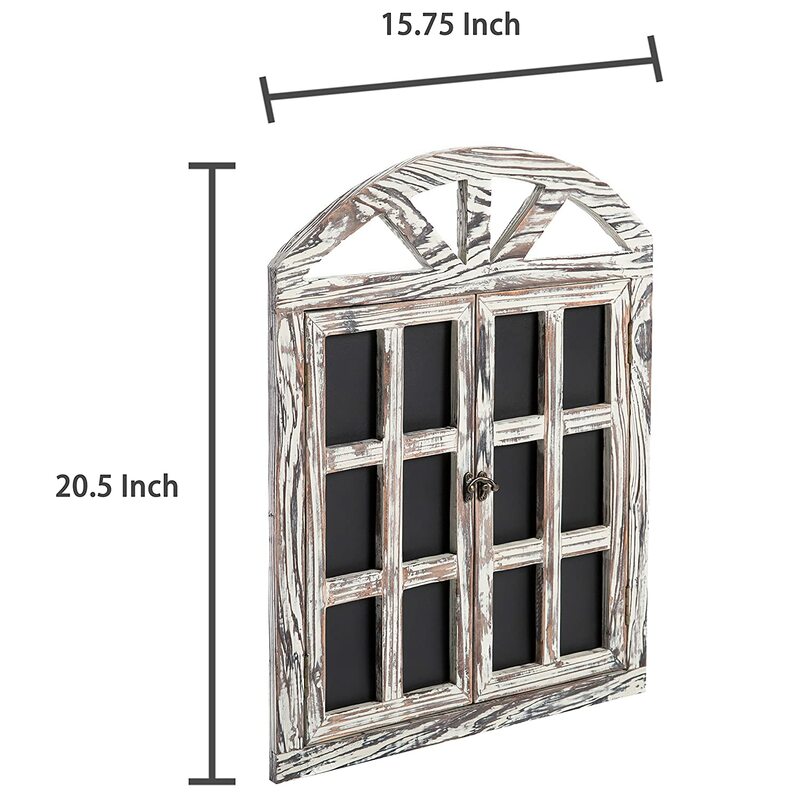 Approximate Dimensions (in inches): 20.5 H X 15.75 W X 0.5 D.
Decorate your wall with this unique windowpane design with arched top and two doors that open to reveal the chalkboard. 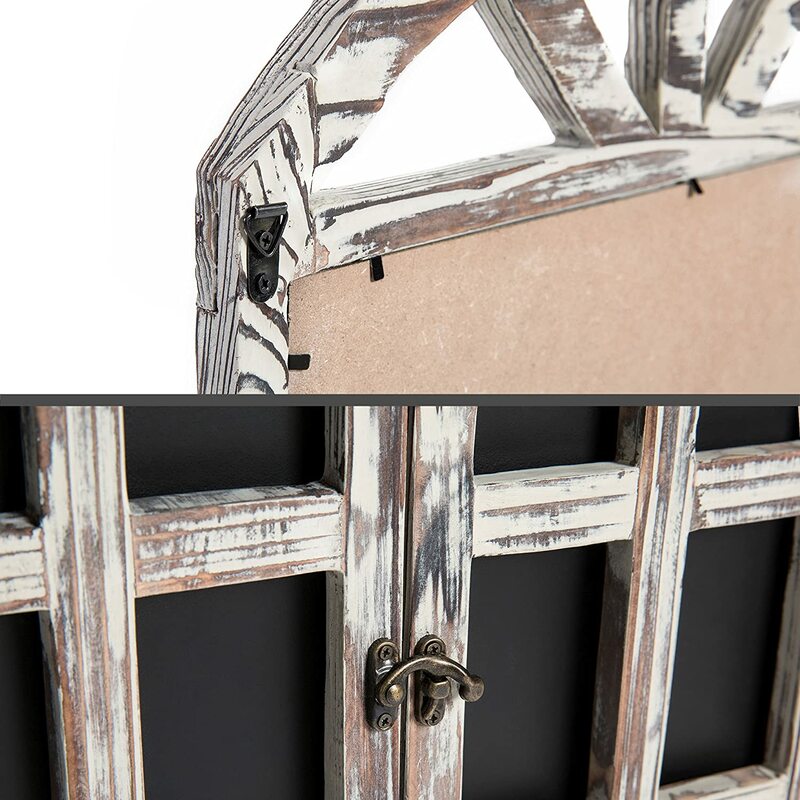 The chalkboard comes with two hooks on the back to allow you to mount it to any wall with proper mounting hardware. 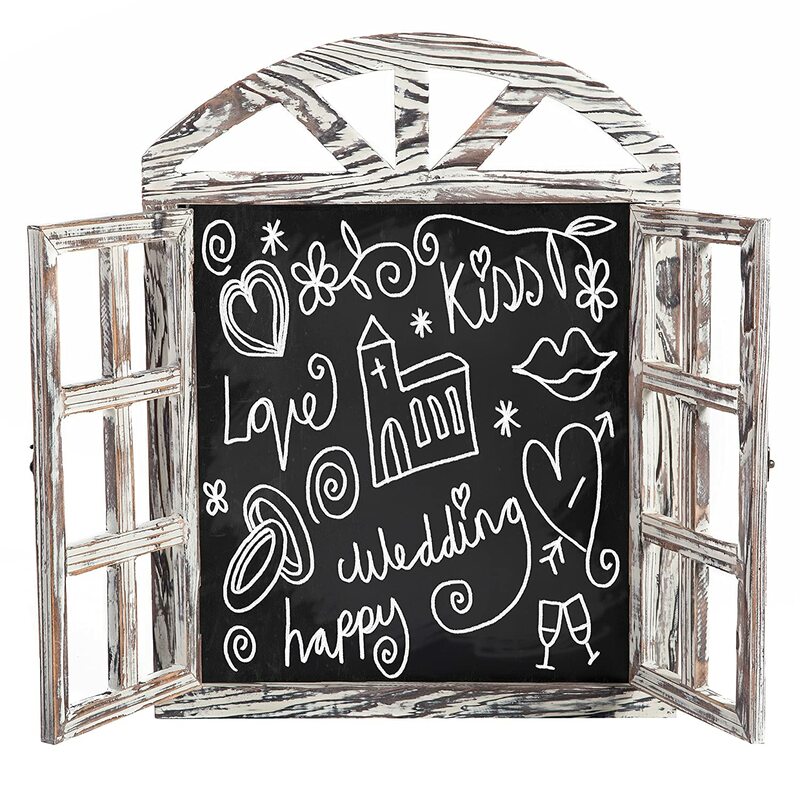 With its rustic charm and whitewash finish, this blackboard can go virtually anywhere. 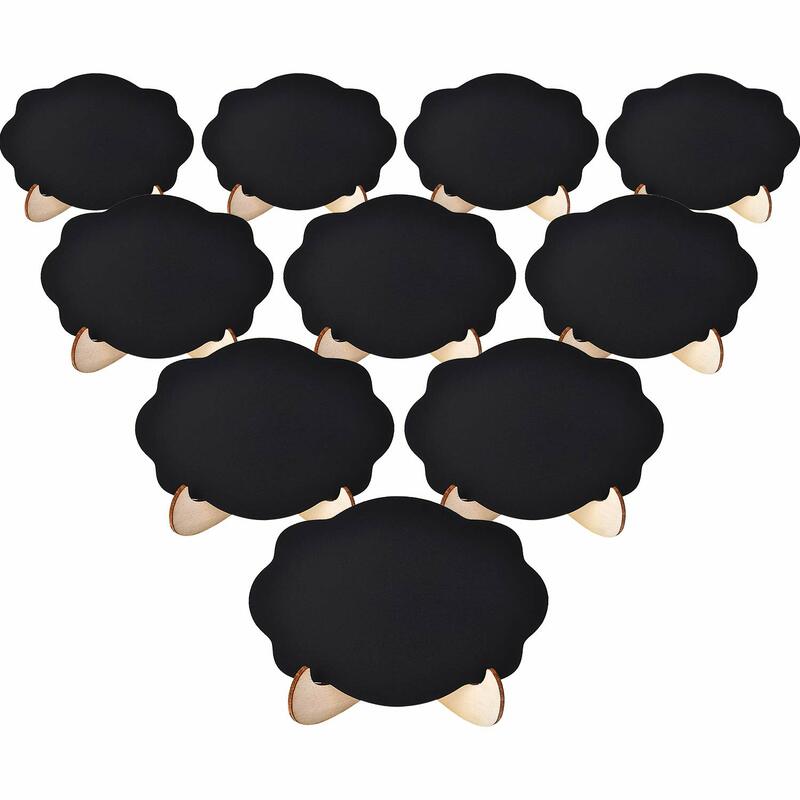 Display it in your kitchen for writing memos, notes or recipes for your family. 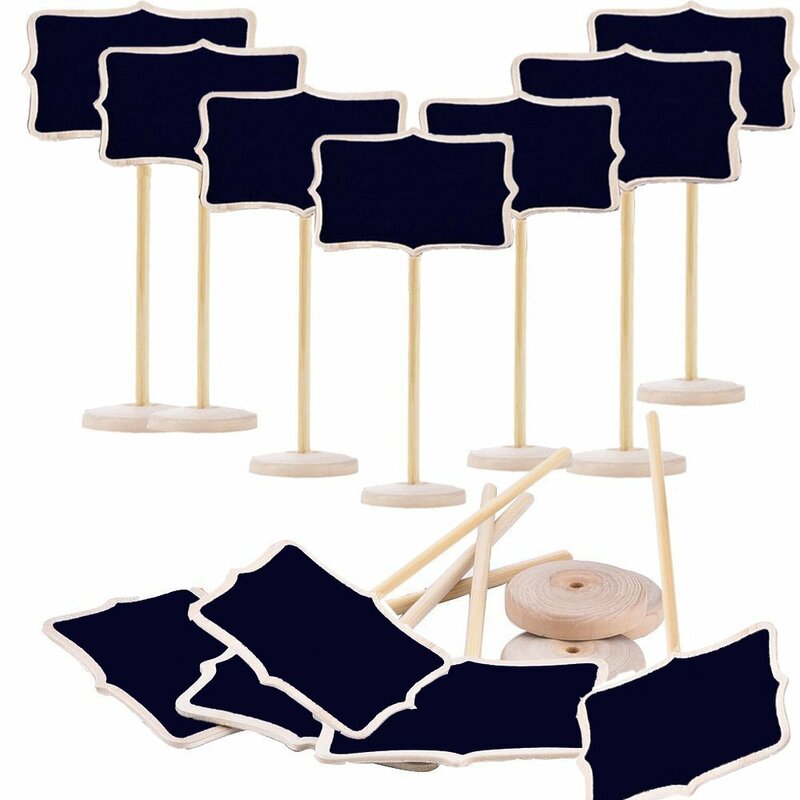 Ideal for wedding or event signs and menus. Place it in your office for fun motivational quotes or sales goals. 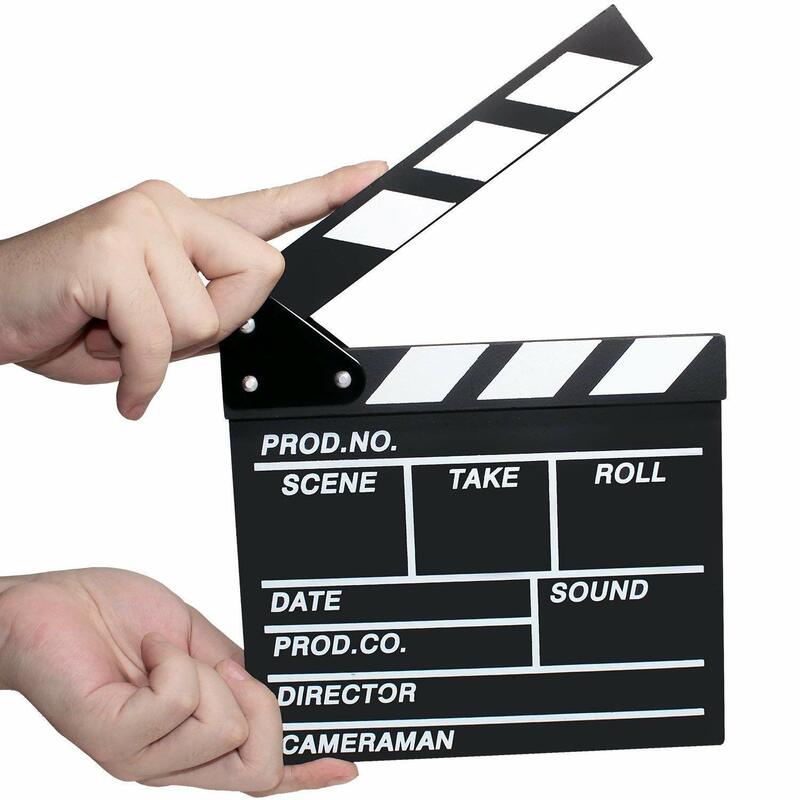 Hang it in your cafe for daily specials or menu items. Great for boutiques to inform customers of sale items or special dates. 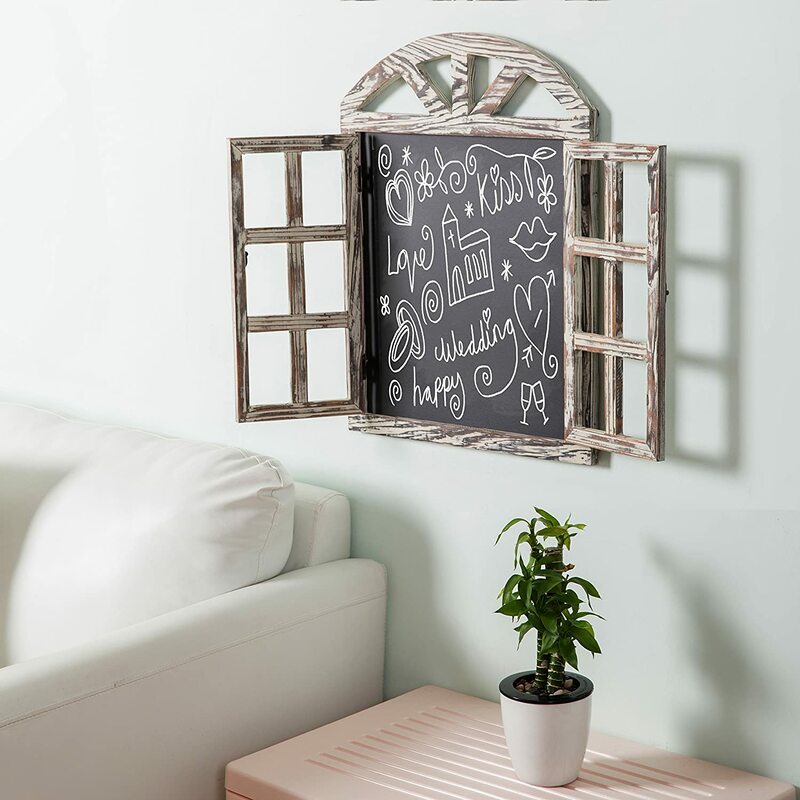 No matter where you mount this vintage window frame chalkboard, it will always stand out.